The Shoei X-Fourteen Helmet is a proven race weapon for those who aren’t willing to sacrifice a single detail when it comes to high-end performance. Extensive wind tunnel testing maximizes the aerodynamic effects of the AIM+ shell shape. 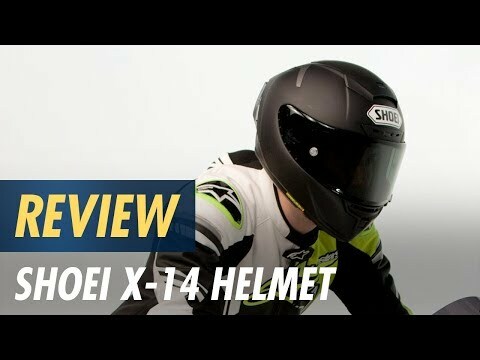 From the double shield locking mechanism that prevents unwanted shield openings to the removable Lower Air Spoiler that can be affixed to the chin bar to improve aerodynamic stabilization, the Shoei X14 Helmet is the choice for champions. Hands down for Shoei X14!! 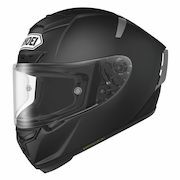 My previous Helmet was a Shoei RF1100 and the X14 just exceeded my expectations!! I got great Deal on CycleGear. Great airflow. Not inexpensive, but the quality justifies the price. Unwilling to pay a premium for graphics to pretend I am someone famous. Well bought and delivery was quick. Ive had Shoei helmwts for 25 years and wont buy any other! They are expensive but well worth the price in safety, comfort and style! Love this helmet. Best shoei ever!!! BEST ANSWER: Yes this helmet has the pinlock system..very smooth and works beautifully!